aka Hercules Vs. The Hydra, Gli Amori de Ercole. Hercules' wife is murdered, but it's okay, he finds a new love days later. Then an Amazon queen decides to pursue him as well. It's a collision course with wackiness! Or maybe more murder! Given the number of girlfriends and wives Herc has had throughout these interminable movies, why would any woman stick around with him? It's a death sentence! 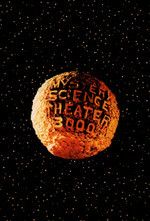 We're now halfway into Season 11, the Kickstarter-funded revival of Mystery Science Theater 3000. Pepla (singular peplum) provide for some of the most beloved classic episodes of MST (such as 408 HERCULES UNCHAINED and 410 HERCULES AGAINST THE MOON MEN), but there are also some relatively boring ones. Fan reaction to this episode, at least, seems divided. Episode 1108 can be viewed on Netflix. Directed by Carlo Ludovico Bragaglia. Written by Sandro Continenza, Luciano Doria and Alberto Manca. Starring Jayne Mansfield, Mickey Hargitay and Massimo Serato. There's also 605 COLOSSUS AND THE HEADHUNTERS, which doesn't have Hercules in the title and is actually a Maciste ("my cheese steak") movie... but then, Hercules Against The Moon Men was originally a Maciste movie, too. Wikipedia tells us that, in the wake of the original Hercules starring Steve Reeves, for this production they tried adding star power, not from the actor playing Herc himself, but his love, hence the casting of Jayne Mansfield, who refused to do it unless her husband played Hercules. But wow, I hate Hercules in this one. Not only is he fairly weak by demigod standards, but he seems so dense! And his voice and accent remind me of Sportacus. Word is however that Hargitay is actually one of the physically strongest guys to play the Hercster. Check it out, in the cold open, Jonah is actually snacking from a bag of Ram Chips, with Crow and Servo's pictures on it! It's not MST3K without a terrible Hercules movie. The room this week is https://www.rabb.it/rodneylives. I hope you can make it! I found this one to be exactly the quality of the original Hercules episodes, which is to say: fine. I never thought I would ever be nostalgic for Steve Reeves. It's a strange year. I enjoyed this one, but then again, I enjoy all the Hercules episodes. I hadn't ever seen Jayne Mansfield in anything before, so that was...interesting. Alan Steel is the One True Hercules and I will accept no pretenders. Sing, O Muse! Sing of Herakles, son of Zeus! Bardic narrative tradition is easy? This is another of the new episodes that is a favorite. I have watched it several times. For this movie, we've replaced Herc being so sleepy with Herc just randomly picking up things and carrying them awkwardly. That Frederick Law Olmsted goof was a precision strike on my chuckle glands. So here was the question running through my head after first watching this: You know the story about how Joe Don Baker threatened physical harm to the MST3k crew after they eviscerated him in "Mitchell"? I have to wonder if the memory of that made them reluctant to make any Mariska Hargitay jokes because, no offence to Jonah and they new kids, but she could probably kick all of their asses. So, it turns out that last host segment with all the screaming does not make this an episode one should watch while falling asleep. I have to wonder if the memory of that made them reluctant to make any Mariska Hargitay jokes because, no offence to Jonah and they new kids, but she could probably kick all of their asses. I kind of thought of the same thing in the Doug McClure episodes, but I think he's dead.